Statistical regression allows you to apply basic statistical techniques to estimate cost behavior. Don’t panic! Excel (or a statistical analysis package) can quickly figure this information out for you. Enter the data into Excel. 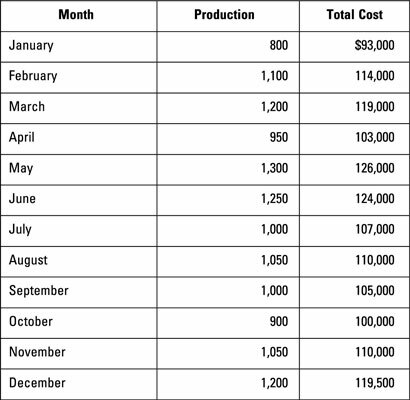 Create a table of data in Excel, listing each month’s production activity level and total cost. 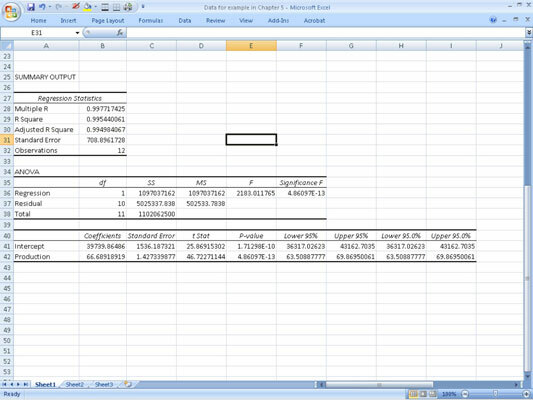 Run a regression analysis in Excel. 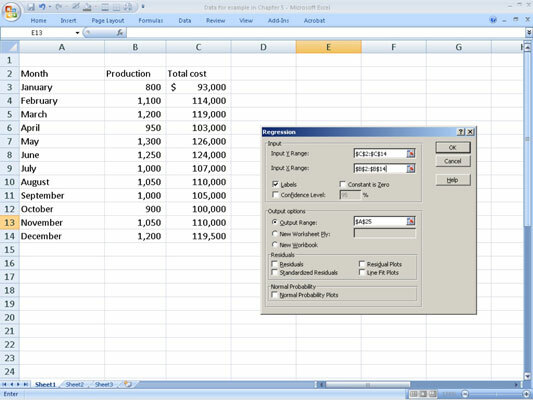 Under “Input Y Range,” enter the range for the total cost data, including the heading. Under “Input X Range,” enter the production data, including the heading. Select an output range on your spreadsheet. From all the information shown in the output, you really only need two numbers. In the bottom table, look at the column marked “Coefficients.” The number labeled “Intercept” ($39,739) is a statistical estimate of the fixed cost. The number labeled “Production” ($66.69) gives you a statistical estimate of the variable cost per unit. Statistical regression analysis provides useful information to judge the reliability of your estimates. An “Adjusted R-square” close to 1 (the one in the figure is approximately 0.99498) indicates that the model fits the data. Low P-values of the coefficients (here, 1.713 x 10–10 and 4.861 x 10–13) indicate that the model has high statistical significance. In other words, this model looks pretty accurate.